HOUSTON, TX, March 27, 2019 – Sentai Filmworks announced today that it acquired streaming rights to two special episodes of Pop Team Epic, 2018’s irreverent break-out hit that shot a middle finger at convention. 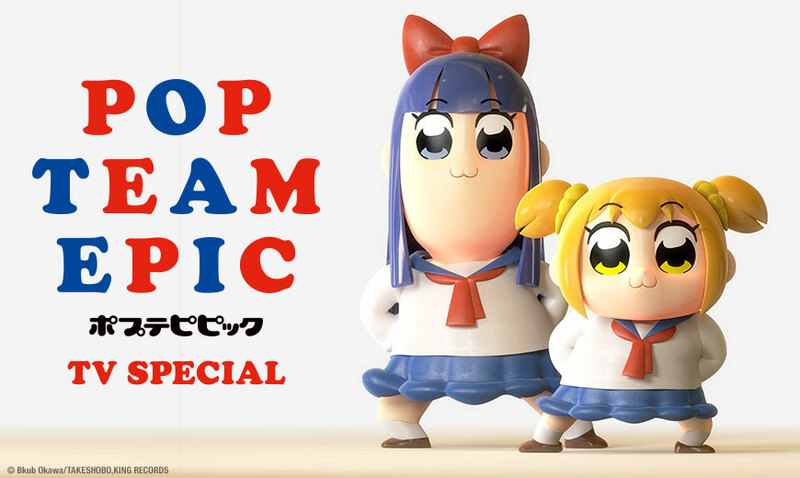 Sentai Filmworks is partnering with HIDIVE, the premier anime streaming service, to bring the Pop Team Epic specials and the meme-worthy antics of Popuko and Pipimi to audiences in the United States, Canada, the UK, Ireland, South Africa, Australia, New Zealand, Netherlands, Denmark, Finland, Norway, Sweden, Belize, Costa Rica, El Salvador, Guatemala, Honduras, Nicaragua, Panama, Argentina, Bolivia, Brazil, Chile, Colombia, Cuba, Dominican Republic, Ecuador, Guyana, Haiti, Honduras, Mexico, Paraguay, Peru, Suriname, Uruguay and Venezuela. Kamikazedouga (Batman Ninja, Amanatsu) will produce the special. Jun Aoki (Oshiruko - The Summertime Mischief) will provide the series composition while Aoi Umeki (who also worked on Hanebado!) is in charge of the storyboards, and both have returned to direct the series.